Designed to reduce project cycle time, minimize unplanned downtime and reduce offshore manning for operations and asset monitoring, Siemens' Topsides 4.0 offers a holistic digital roadmap to transform offshore oil and gas production. 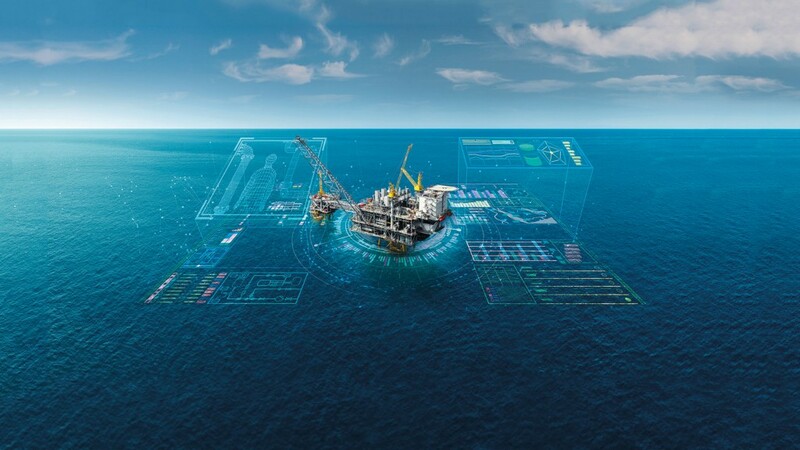 Topsides 4.0 begins during the conceptual and design phase of an offshore project and enables digital project management and manufacturing, virtual testing and commissioning, and finally delivers an intelligent digital twin of the topsides facility. The digital twin comprises a virtual replica of the plant, the process and the automation system and how they interact, and assist in reducing life cycle costs through performance analytics and asset optimization in a virtual environment. While Topsides 4.0 is new, Siemens has extensive experience providing digital solutions across a wide range of industries - from faster patient diagnoses in healthcare, to guaranteed on-time arrivals of trains on the Barcelona rail network, to a 30 percent increase in vehicle production at a Maserati factory. "Digitalization is not a passing trend, but rather a foundational value-add technology in the oil and gas industry," said Judy Marks, CEO of the Dresser-Rand business, part of Siemens Power and Gas, and CEO of Siemens USA. "Companies should not view digitalization as an IT initiative, but rather a business transformation initiative implemented via operational technology and enabled by IT," Marks added. Designed to reduce capital and operating expenses, shorten project development cycles, minimize interfacing risk, and reduce offshore manpower requirements, the Topsides 4.0 business model is strengthened by collaborative customer-supplier partnerships. "For offshore vessels to reap the full benefits of digitalization, we must combine our customer's domain expertise with Siemens' knowledge of products, automation and data analytics," said Marks. "Getting to the point where oil and gas companies feel comfortable sharing data in a secure but open ecosystem will be critical as we jointly reinvent the oil and gas industry of today and tomorrow." The components comprising Siemens' Topsides 4.0 digital solution have a strong track record of success. For example, Siemens delivered digital performance analytics for Aker BP's Ivar Aasen offshore project off the Norwegian coast that enables Aker BP to reduce the platform's physical manpower and optimize equipment maintenance schedules. The project, delivered on-time and on-budget, was so successful that Aker BP and Siemens created a strategic long-term partnership last spring to continue delivering digital lifecycle automation and performance analytics for Aker BP's future field development projects.